Immigration Lawyer The Bronx: What Does Temporary Protected Status (TPS) Mean? 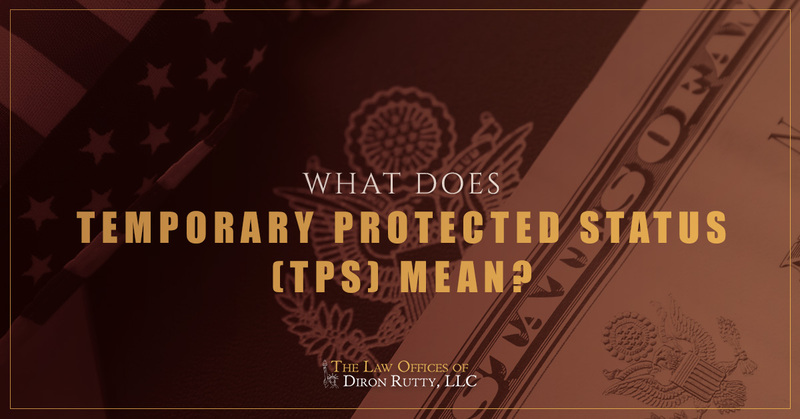 What Does Temporary Protected Status (TPS) Mean? During the fall of 2017, the Department of Homeland Security (DHS) announced they will no longer support Temporary Protected Status (TPS) designation for people from Haiti, Nicaragua, and Honduras. Our team of immigration lawyers is here to explain a little bit more about TPS and what the revocation of it means specifically for the people residing in New York from Haiti, Nicaragua, and Honduras. Temporary Protected Status is an immigration policy that temporarily shields illegal immigrants from deportation if their native countries are stricken by calamities, such as a natural disaster, epidemic, civil war, or other extraordinary but temporary conditions. It is a form of citizenship that is not permanent, but it makes it so these people are legally allowed to be in the United States. Currently, there are 10 countries designated for TPS. Citizens from El Salvador, Haiti, Honduras, Nepal, Nicaragua, Somalia, Sudan, South Sudan, Syria, and Yemen are permitted to come to the United States under TPS. However, DHS recently announced that Haiti, Honduras, and Nicaragua will be removed from this protected status soon. TPS designation for Nicaragua expires in January of 2019; it expires for Haiti Honduras in July of 2019. People from Honduras, Nicaragua, and Haiti who live in the United States right now because of TPS designation need to take immediate action if they want to stay in the U.S. following the termination of the TPS status. We serve immigrants in New York with a variety of legal services. We can help with anything related to immigration law, such as the next steps to take if your TPS designation is about to be terminated. Our team of lawyers is compassionate, realistic, and straightforward. We know the ins and outs of current immigration law and can help you build the strongest case to achieve the best possible outcome. The Law Offices of Diron Rutty, LLC, has been serving New York for more than 20 years. We have offices in The Bronx and Poughkeepsie. Connect with us today to learn more about how we can help you. Schedule a consultation by filling out the form below.